Article by Stephen M and Cynthia M. Photo by Cynthia M. and Lego Shop. 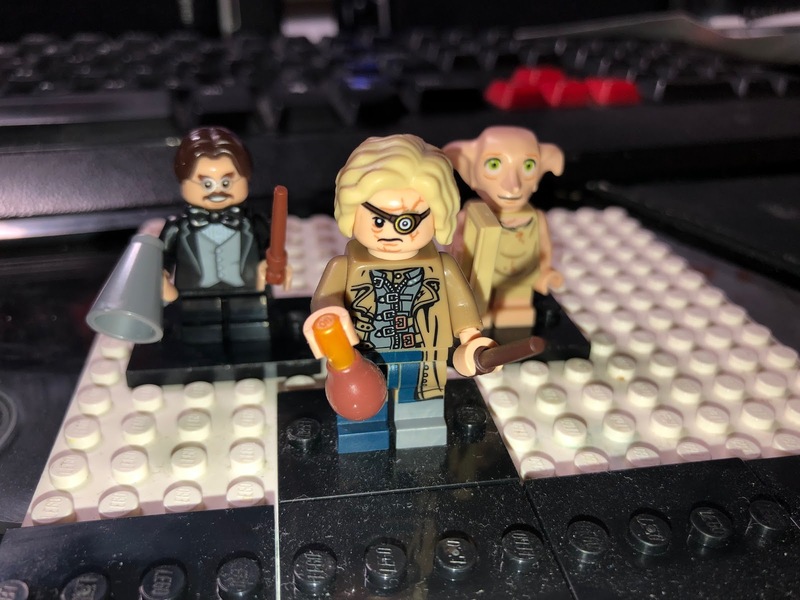 The Harry Potter and Fantastic Beasts Mini Figures mystery bags came out last summer but with the recent Crimes of Grindelwald released in November, interest in this set had resurfaced. I finally snagged a few packs during the holidays, and in five packs this was what my daughter pulled. Retailing for $3.99 each at the Lego Shop or various online retailers like Amazon and Target, the price is just right. With a figure, stand and two accessories, it's a great deal. The details for these little figures as well as the character selections are awesome. Collation of the packs for at least my box wasn't great. Out of 5 packs purchased I got two dupes. I rec'd a Dobby, and as well as 2 Mad-Eye Moody and 2 Professor Flitwick. Each of the figures I pulled were from Harry Potter, but there are Fantastic Beasts characters as well. 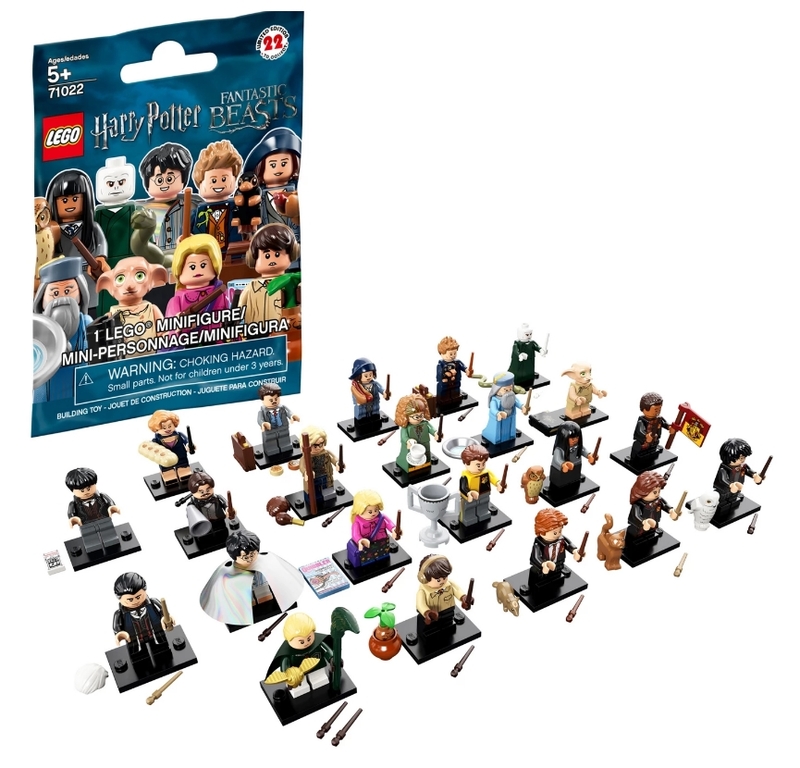 The entire set has 22 characters to pull including some great classic costumes for iconic Potter characters as well a few more obscure characters. The accessories are cute as well from Jacob's suitcase of baked goods to the Niffler. Stores are starting to sell out of them as they have been out for awhile. Most sought after figure? Percival Graves which currently sells for about $15.00 on eBay! 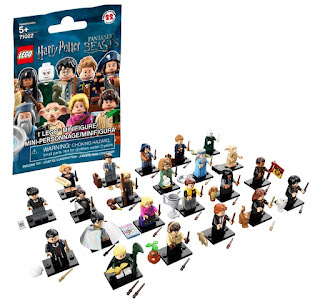 Luna Lovegood and Harry with invisability Cloak right behind him at around $8.00.